Now featuring FREE Hot/Cold Breakfast. Breakfast hours 6 am to 9 am. 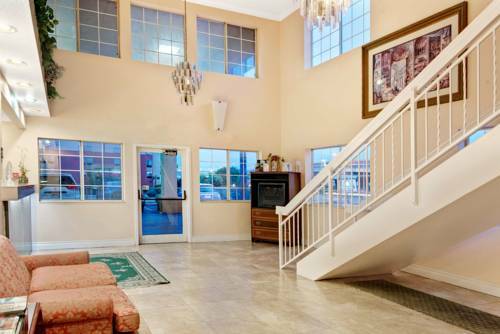 1/2 Mile from Airport - 1 mile to 2 Major Malls - 2 miles to 2 Golf Courses - 8 miles to downtown - High Speed Internet, Outdoor Pool and Spa, Indoor Interior, King size bed for single - 2 Queens for Double, HBO, ESPN all basic cable channels, free Airport Shuttle hours 6 am to 11 pm. 17 miles to Seaworld and Six Flags Fiesta Texas - Local calls 800 calling cards free.